Tackling the age-old conflict between desire and necessity. In the early days of League of Legends, it was a total free for all in terms of roles and classes. Vayne was originally showcased as a mid laner, you could take Singed and Veigar bot, and jungling was a constant clown show. It was a simpler time, where we understood the game less but we may have enjoyed it more. I still remember talking to my friend in hushed tones about the amazing strategies coming from the best region, Europe. (Our Korean overlords hadn’t shown up to devastate us all yet.) I shared this amazing strategy called the Eurolane, where you took the ADC out of mid and put them in bot, along with a support. This configuration caught on, and is now the standard. Everyone has a neat and tidy role, and characters that fit outside of the mid/jungle/top/bot/support configuration are reworked until they do. There’s just one problem: nobody wants to play support. Every team needs a support, which is a character who has some kind of utility and can survive on a limited gold stream. Some supports heal, others disengage or start fights, and still others bring utility like crowd control to a team. Janna, Soraka, Leona, and Lulu are all supports, but they all do very different things and slot in with different team compositions. In an ideal world, players would look at this varied cast of supports who all have unique strengths and weaknesses and select one that works with their team comp, which would lead to a fun and fair match. Unfortunately, this is League of Legends, and nobody wants to play support. When you queue up, you have the chance to select your preferred roles... unless you have to autofill, because nobody wants to play support. Team Builder was a system that allowed supports to instantly get into games and select a comp at their leisure, because nobody else wanted to play support. Blind pick is a system where five people scramble to call and lock in their picks so that they don’t have to play support. League of Legends offers a multitudes of ways to engage in the game, and no one wants to play support in any of them. In order to talk about the fact that nobody wants to play support, we’re going to have to ask ourselves why no one wants to play support. It’s a problem in many competitive games, like when you’re dealing with the guy who will not switch off Genji in Overwatch, but it feels more pronounced in League. Here’s why. First, League games are noticeably longer than matches in Overwatch or Heroes of the Storm. You could be playing support for up to an hour, with no escape beyond surrender. Playing a bad support game turns from an annoyance to seemingly unending torment. You have to spend a long time in lane with your ADC. Sometimes, that ADC is a kind soul who congratulates you on your Thresh hooks and appreciates your warding. More often, they dive in without you, ignore your carefully calculated plans, and then call you all manner of terrible names. Finally, there’s the fact that even though you’re trudging through this nightmare morass, dutifully putting down wards and keeping your allies alive, no one really appreciates you. No one notices the clutch support play that wins the team fight at Baron, but everyone congratulates Jhin on his pentakill. A lot of players are forced into support by autofill or team pressure, chained to an ADC and forced to prop them up for the first third of the game, and then given a reception that ranges from ‘cold indifference’ to ‘active hostility’. It’s rarely an experience that converts players into being active, happy support mains. With all of this in mind, it makes sense that the support champion pool is constantly expanding and mutating. There are constantly champions that aren’t “true supports” that sneak into the support pool anyways. In some cases, like Morgana, their original role is forgotten. These support innovations usually come from the pros, who are constantly analyzing and testing the game. They notice that Morgana’s shield and binding make her a potent support, or that Annie’s AOE stun allow her to force fights in the bot lane. The problem is that fans see this and rejoice, because it means they can play support, but hopefully have fun doing it. They lock in Miss Fortune or Malzahar or Zyra because the pros did it, and then they build full damage and bask in their independence. If the game is going to force them into support, then at least they can have fun while they do it, right? Their teammates whisper ‘no’ as they watch their Zyra support pick a Doran’s Ring to start, but at least the support player is having fun for once in their life. Riot is continuously coming up with solutions to the support problem. Autofill is one of those experiments: will people happily play support once in awhile if it means faster queues for everyone? Riot has also increased the free champion pool to include more supports, given rewards to people who queue for needed roles, and offered the honor system as a way to feel validated by your peers. Support champions have fun and engaging kits, cool visual designs, and they don’t need to spend all of their money on wards anymore. All of these efforts haven’t been enough to get people legitimately jazzed about playing support. It’s one of the unfortunate risks of League being a team game: no one wants to be the team support when they can be the superstar getting all of the kills. 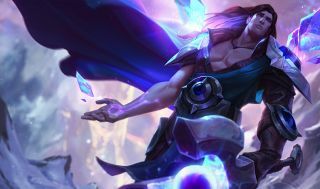 As Riot’s champion design becomes more sophisticated and complex, they may finally crack the code that gets people eager to buckle down, drop wards, and lend utility to their team.